Clueless About Water Scarcity Issues | Waterless Co Inc. This phrase indicates that we can turn to the estimated 75 millionin this country to lead the way, and help us all to learn the importance of using water more efficiently. Well, and quite unfortunately, that does not appear to be the case. Most notably, the poll found that only 62 percent of Millennials thought they should reduce water consumption . . . even during a drought. Compare this with the other respondents, 75 percent of whom indicated they would reduce water consumption if a drought was declared in their state or community. · Nine out of ten people had no idea how many people globally lack access to clean water (nearly a billion people). · Most respondents, according to the study, “significantly” underestimated the possibility of future water shortages in either the U.S. or Canada, despite ongoing reports and conditions that indicate this is possible if not probable in the future. · Approximately 71 percent reported they’d never experienced a water scarcity or quality issue in their lifetime. · Only three percent were aware that most North Americans use as much as 100 gallons of water per person per day; most respondents had no idea they used this much water. · When asked what steps they are currently taking to reduce their own water consumption, the “paltry” response, as it was called, was that 53 percent said they wait to have a full load before washing laundry; 28 percent have selected a water-efficient clothes washer; and 25 percent have installed a water-efficient toilet. That was about it. The study indicated that one of the reasons North Americans have such little comprehension of water scarcity issues is because they pay so little for water. This conclusion has been reached by many other researchers. While the cost of water is increasing all over North America, it still does not come close to covering the true costs of treating, delivering, and removing water from homes and facilities. However, despite their lack of knowledge about water scarcity issues, the study did find that about 61 percent of those polled would like to use less water. While this relatively high percentage appears promising, it could just reflect the fact that most North Americans have an aversion to waste of any kind. This has been borne out in past Eco Plus studies. For those of us, such as the staff at Waterless Co., which makes waterless urinals and are at the forefront of helping facilities reduce water consumption and use water more efficiently, many of these findings are relatively bad news. They seem to indicate that most consumers are just not embracing water reduction nor do they even see a need for it. Possibly, this is because they don’t have to cut back on water consumption themselves. But looking beyond this, many businesses and organizations should take note that it can be a feather in their cap to let consumers know the steps they have taken to reduce water consumption. Whether it involves installing waterless urinals, which save huge volumes of water, or installing water conserving vegetation, taking steps to reduce water consumption makes you look good to consumers while doing a very good and important deed for our planet. 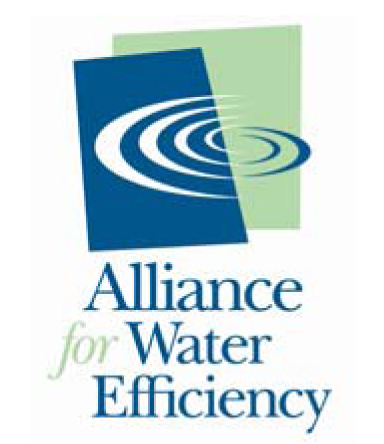 For more information on ways to use water more efficiency and address future water scarcity, contact a Waterless Co representative.